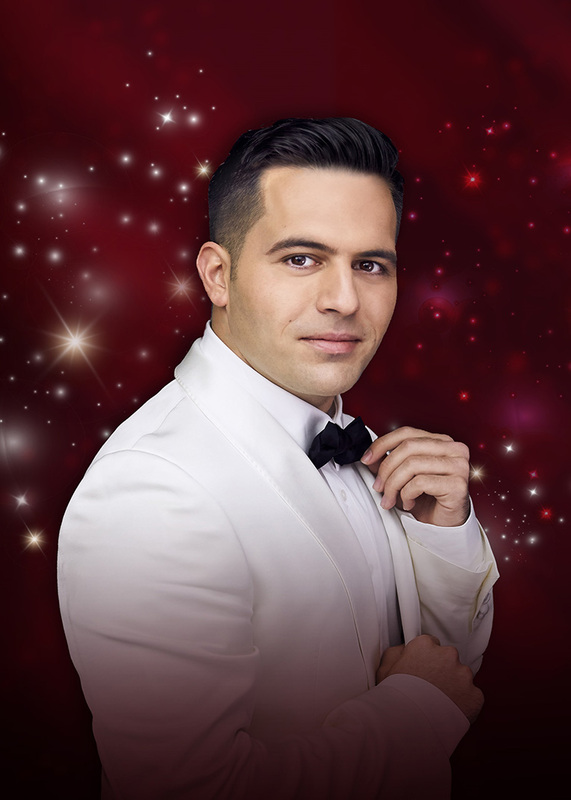 Singing with Song Music at the age of 15, Mark Vincent has gone on to become one of Australia’s most beloved tenors, having released eight consecutive #1 ARIA Classical Crossover Albums by the age of 24, and having earned accolades both nationally and internationally. Like Lanza, Mark grew up in a family with strong Italian traditions and heritage and has always been inspired by the legendary Italian tenor. TRIBUTE debuted at No.3 on the ARIA Album Charts, and at No. 1 on the ARIA Classical Cross-Over Charts. The album went on to be the highest selling ARIA Classical Crossover album of 2017. Mark’s previous album TOGETHER, a duet album with Marina Prior, released in 2016 and debuted on at No. 1 on the ARIA Classical Chart. Turning his focus to Musical Theatre, in 2014 Mark Vincent made his debut in the Australian production of ‘Dirty Dancing’, which played 130 shows around the country. In June 2016, Dame Julia Andrews, DBE cast Mark in the role of Freddy, Eliza Doolittle’s love interest, in her production of ‘My Fair Lady’, which toured nationally with Opera Australia and both the production and Mark received rave reviews. Vincent concluded a stellar 2017 with a national headline tour, followed by a sold-out tour of the UK with international soprano Katherine Jenkins, performing in iconic venues including Royal Albert Hall in London. This year has seen Mark perform in Ireland with Tommy Fleming whilst preparing his debut album THE MOST WONDERFUL TIME OF THE YEAR for the festive season. This will be Mark’s ninth album… an impressive feat for a recently turned 25-year-old.